As the name tells you, Free Download Manager is one of the few download managers which comes as free as well as open-source application for downloading files with greater speed. This is a rare application with full features such as downloading Rapidshare files, BitTorrent support and much more which are present in top download managers. 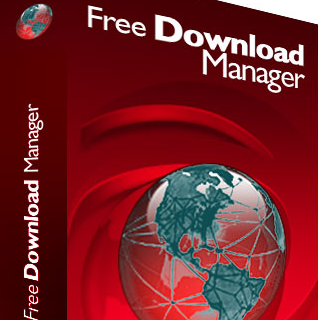 Free Download Manager (FDM) is also used for converting videos to required formats. The interface would be the main issue for naïve users who doesn’t want to experience complicated navigation or options. It does not have proper “Help” file which tells you everything about the product. The Dial-up connection in particular is very confusing with no better explanation. But the downloading part is simple and easy. You can now download files using BitTorrent protocol. FDM has been included under GNU General Public License. Download videos from YouTube, Dailymotion, Vimeo, and many more video streaming sites in .flv and convert them to popular formats like MP4, AVI, WMV, etc. View active downloads list or create new downloads remotely via the internet. Create FDM portable version and get rid of installing and configuring the program on different computers. You can preview files before they get downloaded. Free and Open-source software with GPL License. Of course it accelerates the downloading files at the maximum available speed (which depends on your internet connection). When the downloading files get stuck, you can resume them from where they are interrupted. FDM also resumes broken links or downloads. FDM follows downloaded files in composed manner, putting them in different folders based on their medium. FDM’s Powerful Scheduler lets you download files at precise time you have customized. Several Traffic Usage Modes allows you to regulate traffic usage, thus balancing both internet browsing and downloading files simultaneously. Grab the whole or part of the website and download with all images, files, folders, etc. with HTML Spider. Download only the required part of a zip file which is not possible in other download managers. FDM warns you about the dangerous and phishing websites from where you are downloading files. FDM supports 30 world-wide languages. Summing up all the features, it is recommended to download the latest version Free Download Manager 3.9. But if you concern about the design, then think once before downloading. You can download the new stable version and also Lite version of Free Download Manager from below link.